In the ten months of 2018, the total cargo turnover decline reached 2.1% at Ventspils port in comparison to the same period a year ago. This is the second lowest decline after the anti-record of 2016. In total, nearly 17 million tonnes of cargoes went through Ventspils port in this period of time, which is 31% of the total volume of cargoes, making this port second after Riga Freeport cargo turnover-wise. General cargo turnover at Latvian ports in the first ten months has grown 6.4%, reaching 55.3 million tonnes, BNN was told by Baltic Association – Transit and Logistics. The largest portion of cargoes consists of transit cargoes – coal (30%) and oil products (22%) from Russia and Belarus, which accounts for 52% of cargo turnover for Latvian ports. 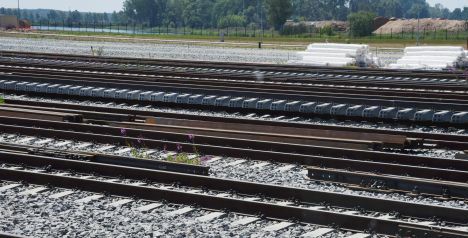 The ratio of these cargoes is even larger for Latvian railway – 45% for coal, 24% for oil products – which secures 69% of cargoes transported by rail. With that, this change will most definitely affect the total cargo turnover, explains BATL. «This cargo turnover will have a constant downward pointed tendency in a long-term perspective. Compared to the previous year, it was possible to slightly increase coal transit volume, which was mainly associated with the modernization of Ust-Luga Port in Russia this year. Once the modernization process has been completed, the capacity of Ust-Luga port will increase considerably. Considering this aspect, as well as oil product turnover trends, yet another cargo turnover decline is expected for 2019. Market participants also intensely work on attracting other types of cargo. This is proven by the increase of turnover of certain types of cargoes, such as grains, timber, containers, etc. However, considering their ratio in the total cargo turnover, it cannot possibly compensate the fluctuations with the main types of cargoes,» comments BATL board member Ivars Landmanis. According to him, to make sure Latvia’s economy does not lose, all transit market participants should be able to work together, not seek to satisfy their own interests. Officials of state institutions should not divide market participants into ‘friends’ and ‘others’, whose rights and freedoms should be restricted with different decisions. Decisions made by officials should be in Latvia’s best interests, not the interest of a small group of people. BATL believes currently it is important to consider reducing fees for the usage of state railway infrastructure across the entire network. It is necessary to make sure expenses of Latvian transit corridor are equalized regardless of distances. This can be regulated using fees for the usage of state infrastructure. A situation in which fees for usage of state infrastructure control the competitiveness of transit cargo flow in Latvia is unacceptable. This is possible, but there needs to be a political decision and interest from state officials and ability to take responsibility. In the first ten months, the volume of cargoes that went to Ventspils port in the first ten months has grown 28% in comparison with the same period of last year, reaching 2.23 million tonnes. The volume of sent cargoes, on the other hand, has dropped by approximately 5.5%, reaching 14.7 million tonnes.